As well as appearing on our screens weekly on The Gadget Show, Ortis Deley has co-hosted the sell-out live version of the show on numerous occasions at Birmingham’s NEC, performing to over 75,000 guests at the 5-day event. Ortis really enjoyed his time on Police Interceptors. This was an eye-opening experience that he loved and bravely embraced. He also contributed to Ancient Top 10 for the History Channel. The programme looked at the origins of technology. Ortis has an energetic and likeable way which has kept him working as a television presenter for over 20 years. Having started his career on Trouble TV as a main anchor Ortis then moved across to CBBC as the anchor on the very popular ShortChange. Quite quickly becoming part of the CBBC family he went on to present Why 5, X-perimental, Making It, Xchange and Live & Kicking, all for CBBC. The move away from children’s television was seamless for Ortis and began when he was asked to host a pilot for Tomorrow’s World on BBC One. Ortis has appeared as a guest technology reporter on BBC One’s The One Show, BBC Breakfast News, Watchdog, The Saurday Show The Alan Titchmarsh Show and Daybreak for ITV1; as well as a guest panellist on Never Mind the Buzzcocks for BBC 2 and Channel 5’s The Wright Stuff. Ortis’ love of science and technology began when he was a child who was very much into sci-fi and comic books. His comic collection is fast approaching 10,000 units! He is a self-confessed bonafide geek. 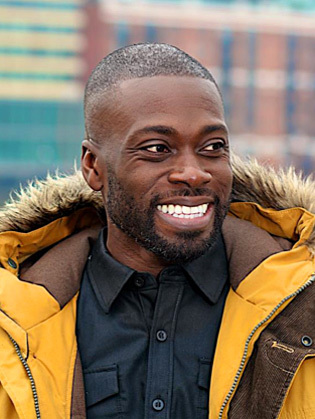 Ortis also has an honours degree in Pharmacy and is also a qualified personal trainer – something which is opening doors for some exciting TV projects. Acting is another skill of Ortis’ which is evident from his credits- Ortis has acted in ITV’s series The Bill, Silent Witness and Doctors on BBC One, and a number of CBBC dramas. He had starred opposite Clive Owen & Jennifer Aniston in Derailed and Noel Clarke & Rafe Spall in cult flick Kidulthood. Ortis is passionate about the work he does with charities and is a patron of First Touch.